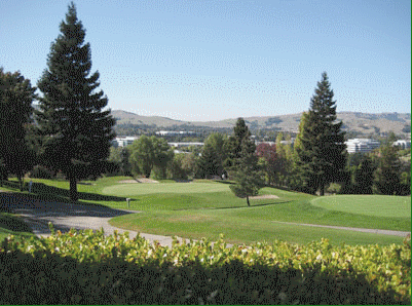 The Bridges Golf Course, is a Public, 18 hole golf course located in San Ramon, California. 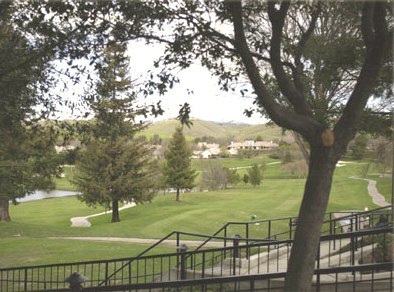 The Bridges golf course first opened for play in 1999. 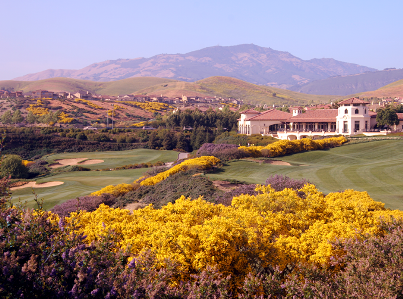 The par-73 course was designed by Johnny Miller and Damian V. Pascuzzo. 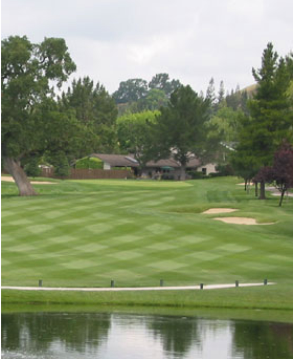 The Bridges Golf Club was rated by the NCGA as one of the most challenging courses in Northern California. 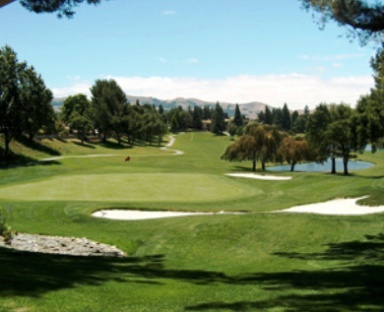 This 18-hole East Bay championship daily fee course has a distinct style and personality. Incorporating the natural surroundings and landscape, The Bridges Golf Club offers a blend of narrowly sloped fairways, vast bunkers, quick greens and heavily landscaped hillsides for the ultimate public golf experience. Also challenging is the afternoon west winds rolling over the East Bay Hills. Distinguishing features include two split fairways, elevation changes, an 85 yard-long 18th green, and a combination of bunkers and landforms defined to add challenge and excitement to every round. 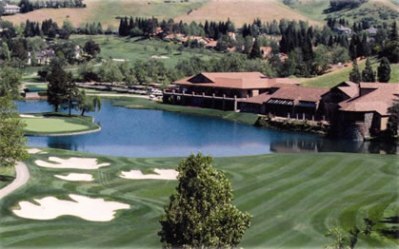 The Bridges Golf Club is located 35 miles east of San Francisco in the scenic Tri Valley foothills of Mount Diablo in San Ramon, California. The Bridges offers a full featured Practice Center complete with a night lighted driving range with 8 target greens, video analysis, custom club fitting and repair, two indoor teaching bays with state of the art video equipment and putting green.. The Bridges Golf Club offers a stunning clubhouse and restaurant which serves lunch Monday - Friday and brunch Saturday and Sunday. 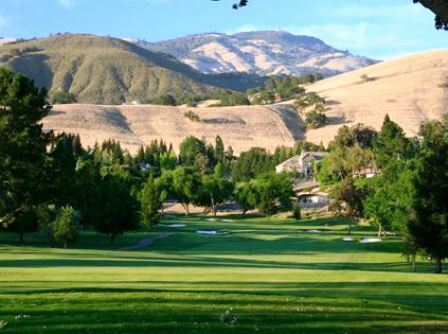 The Bridges Golf Club At Gale Ranch plays to a Par-73 and a maximum distance of 7,081 yards for a course rating of 74.5 and a slope rating of 134. The layout is difficult. It can be fun if you are hitting the ball straight. If not, it will make for a long day. Pace of play is an issue because of the layout. This was the first time I played the course. Knowing the course will make a difference. 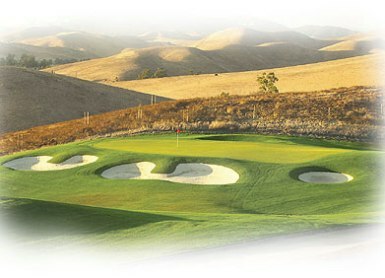 It is a challenging course that will put a better than average golfer to the test. It is frustrating at time but what course isn't. I don't take my game seriously enough to let it bother me. Playing the course a coule of times makes a huge difference. Very hard course to play. At my high handicap, not worth playing very often. Bar/food services was horrible. Not open when I started (11AM) and closed when I was done (4:30PM). Expected more from a high-end course. Difficult but fun course. Rewards the smart player more than the big hitter. Pace of play can get slow later in the day as the layout is difficult. Drains well and has been in excellant shape all winter. Previous posters are being a little unfair about the difficulty of this course. I understand what theyre saying. 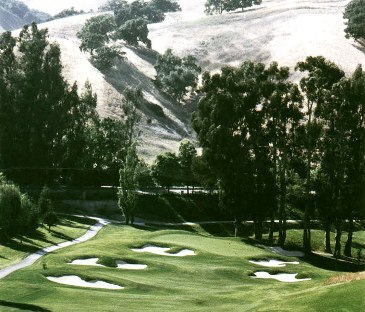 The bridges is definitely one of the most challenging courses in the bay area. But the challenge is about hitting straight tee shots to some narrow fairways,some holes are very long par 4's,some par 3's are very long from the back tees, typical Johnny Miller design. But the beauty of the canyon layout ,the manicured condition of maintainence, the relative lack of golfers on the course,makes this beautiful course look feel and play like a fine private course. For golfers who play well, and appreciate the shot value of scenic beauty alongside clever strategy...the Bridges (and Hiddenbrooke) are the 2 best public courses in the bay area. Yes, you may lose 9 golf balls....but guess what, march down into the woodsy gulches to find your ball and you'll definitely find a dozen others(think 7 pro v 1's and a couple top flites) I lose 5 balls and find 25. Super twilight rates are good. As a new member, I find the course challenging, yet, I always walk away knowing I could do better. For my money. it's a great deal with a friendly, helpful staff. Those who play this course once and complain are not giving it a fair chance. It is a very good layout that requires course management; you cannot just go out and blast away. I would rather The Bridges than any of the private courses in the area. This course is what I call "stupid hard." Slopes, hills, hazards, etc., are frequently put in places where they only make the hole unplayable, not interesting. Well-hit shots can roll OB, greens have so many undulations that there is NO good place to hit to, bunkers are way steeper than they need to be. Maybe a good course for single-digit players, but not for Joe Average. Take two dozen golf balls, stand next to the canyon, dump them in and walk away. It'll save you five hours. This course is ridiculous -- great shots go OB because of the way the fairways are contoured. Most people who I've played it with swear they will never come back. It's too bad, as it's a gorgeous course with a beautiful clubhouse.